Cozy basic shawl in a solid color with fringe. Style it in many different ways! 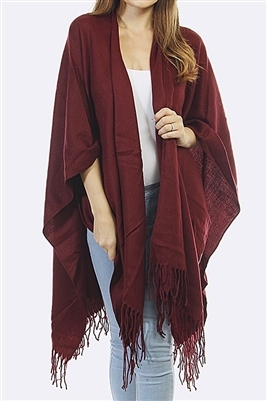 Wear it as a scarf-- approximately 26 inches in width and 70 inches in length.